Let's face it, pretty much after the 21st birthday, there's not much fun in celebrating a birthday anymore! 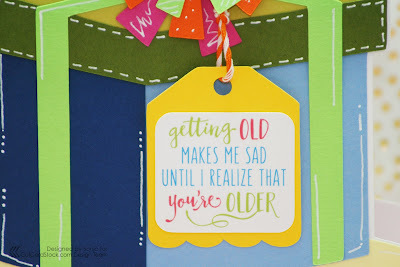 I took this opportunity to point that simple fact out to my brother after he teased me on my last birthday for being old. I used some bright colors from CutCardStock's basis pack as well as plain white for the base of the card. 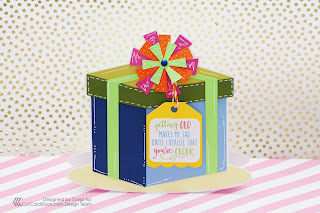 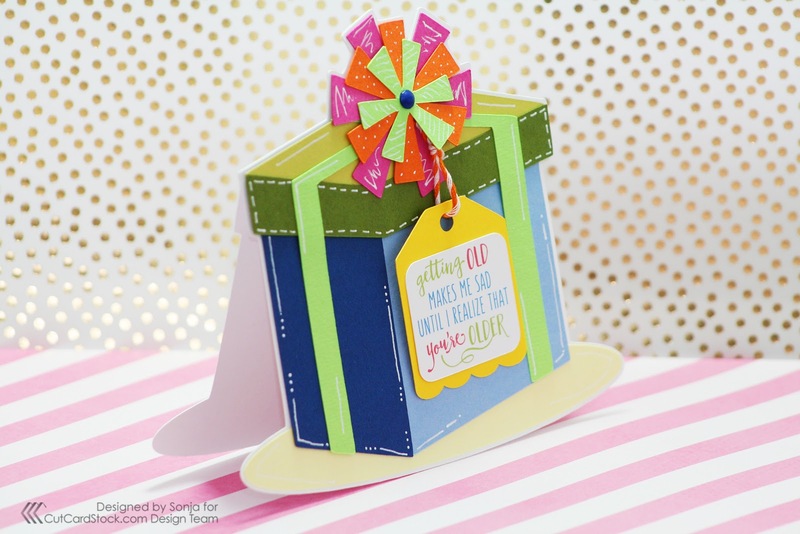 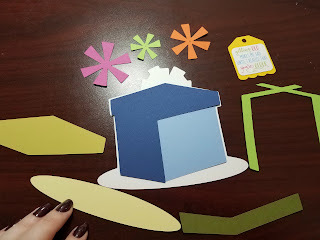 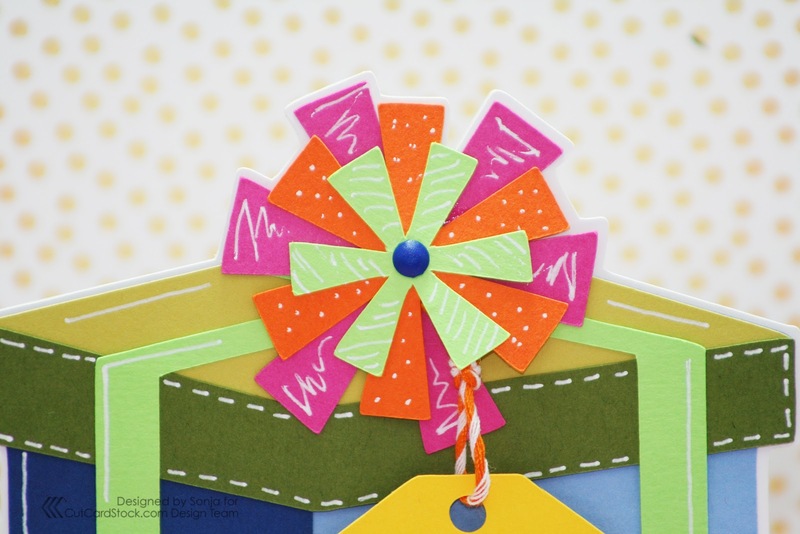 For this simple card, I used a Miss Kate Cuttables 'Birthday Presents' file. 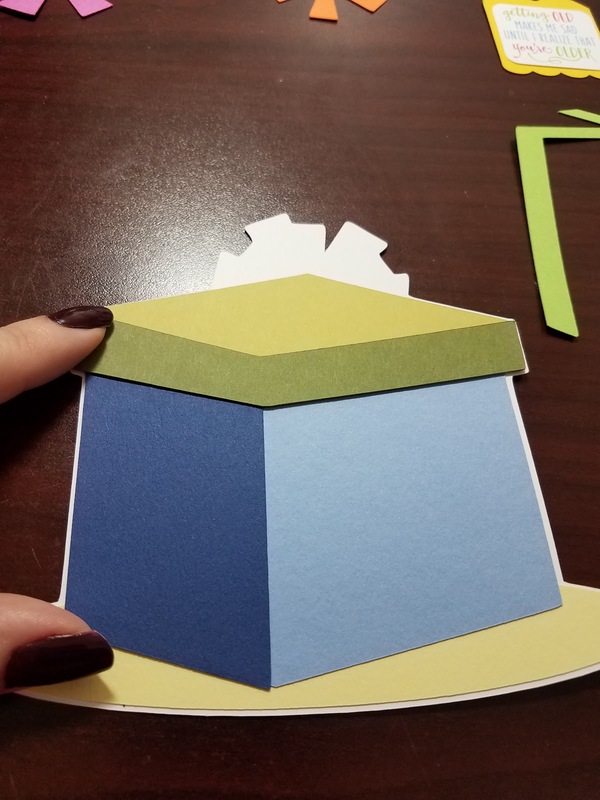 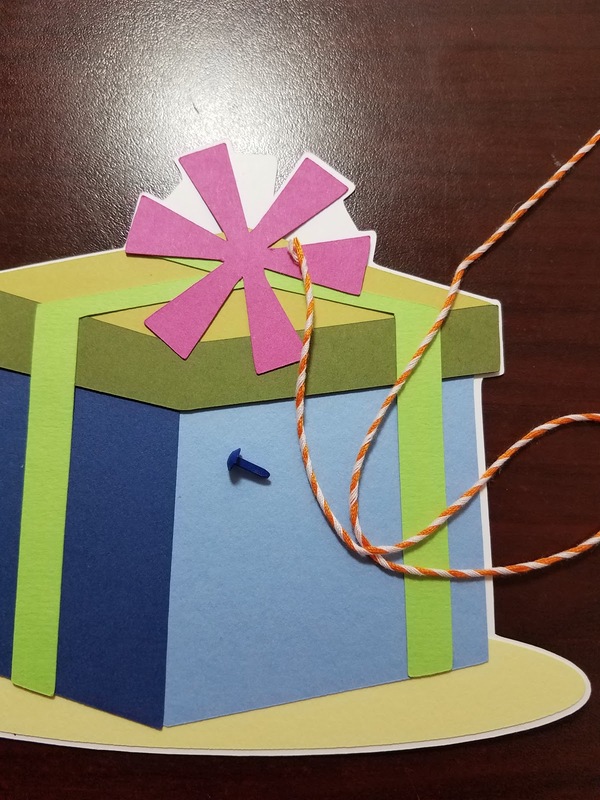 The layering on this present allows for some depth so I decided not to use the pop up tape I usually use on my projects. 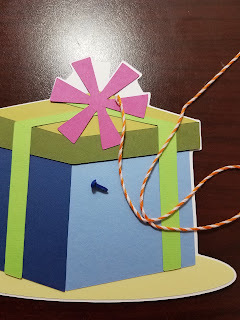 A brad and string helps bring more elements to the design. After everything was assembled, I decided that the plain paper needed some detailing. A white gel pen is great for this! 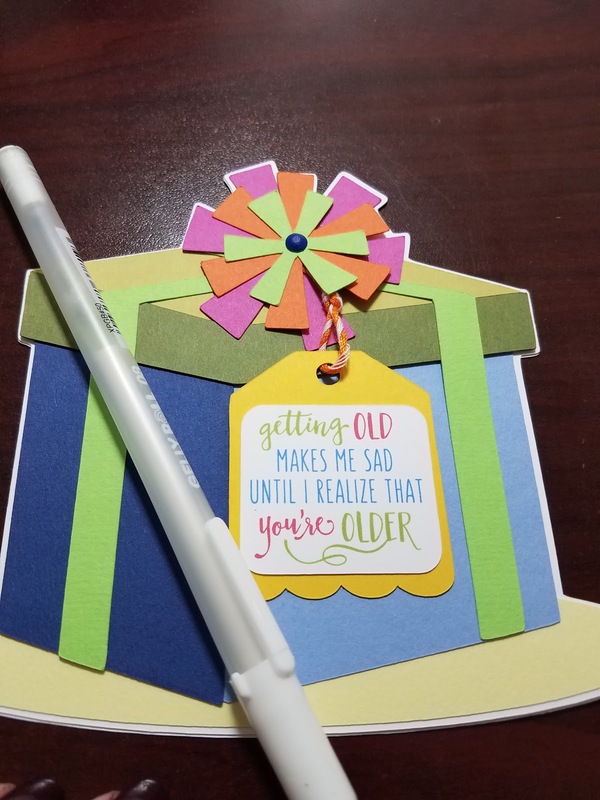 There really is no wrong way to do the gel pen with something that's supposed to poke fun. 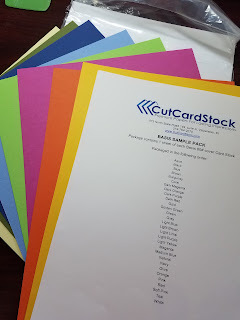 For more paper options, please visit the CutCardStock shop page.